We get so excited when we notice Avengers in the wild, so we can’t resist sharing the following Twitter exchanges. AIA National Board Director Emily Grandstaff-Rice blames the issue on the lack of women in leadership roles. Note that she says “a stronger awareness, support, and advocacy for a more diverse and inclusive leadership is needed.” 🤔 Right. Isn’t that kind of what Melanie Freeland is asking you to do? 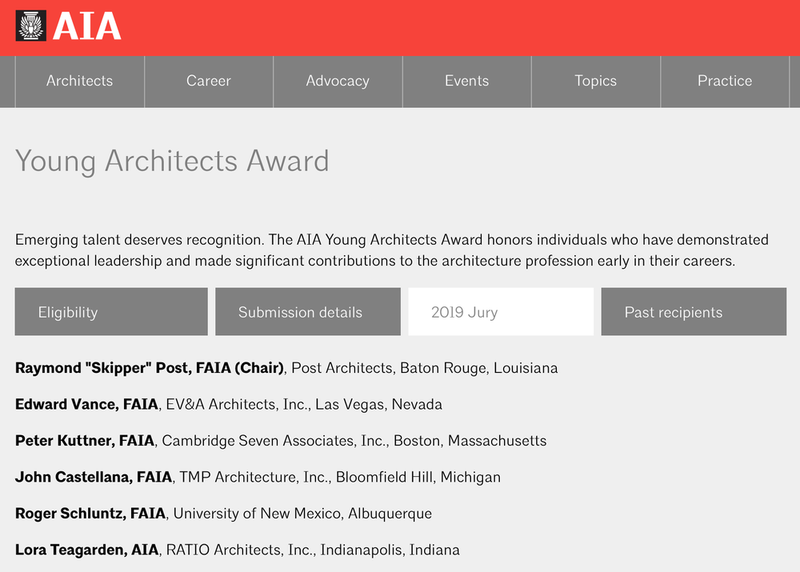 An all-male jury in 2018 certainly should be an embarrassment to the American Institute of Architects, especially because this is the jury for the Young Architects Award, which honours and influences young architects at the beginning of their careers. This choice says a lot about what kind of culture they value and want to continue to nurture in their community.